Dr. Hideyuki Arata,1 Dr. Jongho Park2 and their co-workers at Nagoya University have developed microcage arrays to fix the position of plant ovules for long-term culture and observation.3 Their paper was published online in Sensor & Actuators B: Chemical on September 2013. In order to determine the mechanism of plant growth, it is essential that ovules are stably-cultured over a long period of time to observe them in real time (Live-imaging), and to culture and observe many ovules simultaneously under the same conditions. It is difficult to meet all of these requirements because ovules are randomly dispersed on a substrate with conventional methods. The process has many inefficient elements that easily leads to them being mistaken for each other when observing many ovules at the same time, and it takes time to accurately differentiate between them. Therefore, there has been a need for the development of technology to culture and observe ovules in a fixed place without impeding their growth, as well as a method for culturing and observation that is simple and efficient. They developed microcage arrays, which are a series of microscopic arrays in a grid-like pattern, to fix plant ovules into position for culture and observation. The size of each cage is of the order of several hundreds of micrometers square.4 This device has simplified the process of long-term culture and observation, and has improved its efficiency by fixing one ovule in each cage. 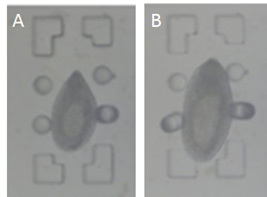 With this method, one can observe growing ovules without mistaking the objects being observed. Also, microcage arrays are specially designed so that they do not stunt the growth of ovules since they are produced with flexible material, namely polydimethylsiloxane (PDMS). Therefore, using the microcage arrays enables an easier and more detailed analysis of the inner portion of living and growing ovules over a long time period. It is widely expected that their study will lead to a deeper understanding of the mechanism of plant growth from the fertile egg stage to the embryo plant stage, and to the development of enhancement technologies for plant growth and production. 1. 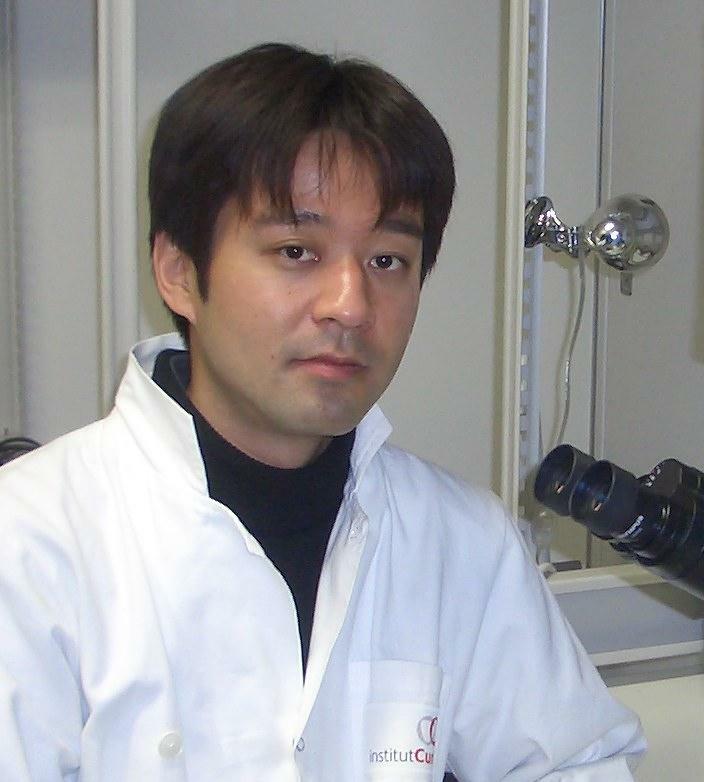 Group Leader of Nano-Engineering Group, Higashiyama Live-Holonics Project, and Designated Associate Professor at Graduate School of Science, Nagoya University. 2. Dr. Jongho Park, Postdoctoral Research Fellow at Tokyo Institute of Technology (April 2013~), et al. 3. The research is a part of Higashiyama Live-Holonics Project funded by the Exploratory Research for Advanced Technology (ERATO) program. 4. One nanometer is one-billionth of a meter. His research topics cover broad fields from bioMEMS, microTAS, Single Molecule Biophysics to Analytical Sciences. His current research focuses on the promotion of MEMS technology and advanced nano- manipulation technologies to plant reproduction study. "I would like to accelerate the collaboration between microfabrication technology and plant science, and hope to create a breakthrough technology for life science." "If you want to accomplish something, you need to first find what you want to do. Then, find the best place to do it, anywhere in the world."